Tour the burgeoning Oregon Wine Country of the Willamette Valley. Learn about the processes of making wine, and how this unlikely climate became home to so many vineyards. 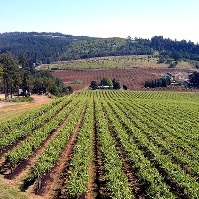 While you can find many Oregon wines online or in knowledgeable wine stores, there are many exclusive offerings that are only available in Oregon winery tasting rooms. From superior and exclusive wines to the beautiful tasting rooms, come and taste wines such as Chardonnay, Pinot Noir, Pinot Gris, Riesling, Cabernet Sauvignon, Cabernet Franc, Merlot or Nebbiolo at three local wineries. Your tour will end at Pioneer Courthouse Square, in Downtown Portland around 4:00 PM. This tour is not recommended for anyone under the age of 21 years old. Space is limited - please plan to book early!